The Irish Government’s site contains information from a range of Government Departments and has links to other Irish sites including the President, the Defense Forces, and the Garda. The Department of Foreign Affairs Internet page provides information on Ireland’s foreign policy. Material includes key documents on Northern Ireland and Anglo-Irish Relations, Facts About Ireland, reports on the Irish Aid Program, material on Ireland and the European Union. The Irish Times from 4.00 a.m. each day. The Department of Finance homepage gives extensive material on the Irish economy. IDA - Ireland (The Industrial Development Agency) is the State body responsible for attracting foreign investment into Ireland. Shannon Development is the government agency responsible for enterprise and tourism development in the Shannon region. Web site for Forbairt the government agency responsible for the development of indigenous industry and the oversight of Irish Science and Technology policy. Web site for information on publications from the Central Statistics Office. The Irish Business and Employers Confederation’s site provides a range of information on Irish business and economic issues. Database of many of the business organisations in Ireland. Finding a job in Ireland isn't easy - especially as a foreigner. Information about the work of the Department of Tourism and Trade and the State agencies under its responsibility. Information on how to fly to Ireland with Aer Lingus, the national airline. In the vicinity of Galway you'll find little winding roads that always seem to lead to beautiful, natural, eye-pleasing scenery and great rural pubs, which well serve the weary traveller. Galway Town serves as the gateway to Connemara, one of the last Irish-speaking enclaves. Galway is famous for its trading with Spain in the 13th century. Terrifically useful site to let you know practically everything that is going on in Ireland. Boole Library, University College Cork - comprehensive information source on all aspects of the library services and collections. Irish Literature Texts - Free! The famous Irish literature texts below are yours for the taking. It is one of our aims to promote Irish literature as much as possible and that is why we are providing this great free service. Lucky Leprechaun's Lane - trace your roots from Ireland, look for the pot o' gold, or try the word puzzle. Wee Bit O' Fun - hunt for our leprechaun, find out why people wear green, and have a Wee Bit o' Fun! Browse Ireland - complete guide to everything Irish. ieSearch - searched only for sites with the .ie domain. Index Eireann - Irish search engine. Ireland's Portal - searchable directory of Irish sites, which also offers chat, discussion groups, and more. Ireland2go - annotated directory of Irish sites. 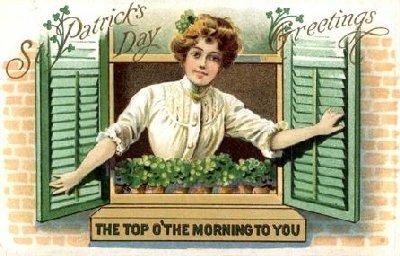 Irish.searchking.com - provides a collection of Irish related web sites, e-mail, and classifieds. NiceOne - links arranged by category. ... and believe you me, the fact that there aren't many Celts left on the islands isn't a fact to argue. We all know the circumstances and will have to simply agree on the simple fact of life that a man can't do more than a man can do. If we can make things better, and improve ourselves and our environment, politics will eventually come our way one way or the other. Irish Whiskey and the history - Irish Whiskey was born in the highlands of Scotland and Ireland. Through many trials and tribulations it has survived to become a very popular drink. Big Tree Tavern - Dublin City - generations of Dubliners, writers, raconteurs and sport enthusiasts have all identified with the Big Tree. Yet, few realise that this is one of the oldest pubs in the city of Dublin. Definite Dublin Pub Review - Dublin City - guide to the many fine watering holes of Dublin, plus more goodies. Dublin Pubs.com - Dublin City - guide to local pubs with food and traditional music. Also point to hotels and other accommodations. Goblet, The - Dublin City - offers two lounge bars and a restaurant. John Fallons Pub - Dublin City - traditional Irish pub in the Coombe, dating back to the early 17th century. Real Dublin Pub Guide - Dublin City - offers a guide to beer, the buzz, and the nightlife in Dublin's pubs. Sean Doherty's Pub and Restaurant - Dublin City - sample the best of Irish hospitality, drink, food, and music. Dublin Club Guide - Dublin City - provides club listings for all of the city's major dance venues. Updated weekly. LoveTrain - Dublin City - 70s disco club. Renard's Night Club - Dublin City - owned and run by Robbie Fox the man behind the Famous Pink Elephant and Lillies Bordello night-clubs. ClubiMusic - Dublin City - live from Dublin. Get club news, music and more. Kitchen, The - Dublin City - club in Temple Bar. Are you planning on renting a car while in Ireland? This may be one way to go.